Make your smile the first step in your morning beauty routine with Crest 3D White Luxe Glamorous White toothpaste. 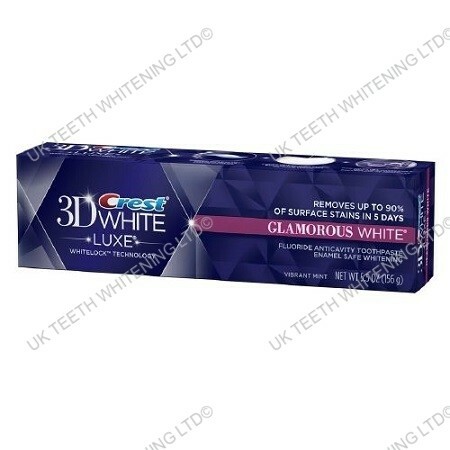 Designed to provide a radiant shine, 3D White Luxe Glamorous White gently, but effectively takes your smile from dull to dazzling. That’s because it not only removes up to 90% of surface stains, but the unique Whitelock Technology actually locks out new stains – even in the microfine lines of your teeth. Combining micro-cleansing teeth whiteners and a refreshing foaming action, 3D White Luxe Glamorous White helps make your smile whiter, so every day can be a glamorous one.